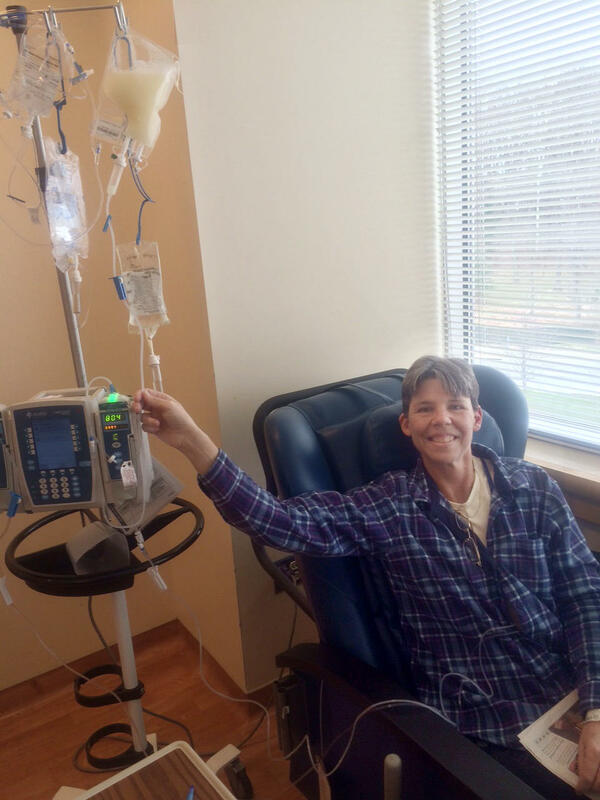 "I'm one of the lucky ones," says Judy Perkins, of the immunotherapy treatment she got. The experimental approach seems to have eradicated her metastatic breast cancer." Perkins received tumor infiltrating lymphocytes as treatment in 2015. "We're looking for a treatment — an immunotherapy — that can be broadly used in patients with common cancers," says Dr. Steven Rosenberg, an oncologist and immunologist at the National Cancer Institute, who has been developing the approach. Rosenberg's team painstakingly analyzes the DNA in a sample of each patient's cancer for mutations specific to their malignancies. Next, scientists sift through tumor tissue for immune system cells known as T cells that appear programmed to home in on those mutations. But Rosenberg and others caution that the approach doesn't work for everyone. In fact, it failed for two other breast cancer patients. Many more patients will have to be treated — and followed for much longer — to fully evaluate the treatment's effectiveness, the scientists say. Still, the treatment has helped seven of 45 patients with a variety of cancers, Rosenberg says. That's a response rate of about 15 percent, and included patients with advanced cases of colon cancer, liver cancer and cervical cancer. "Is it ready for prime time today? No," Rosenberg says. "Can we do it in most patients today? No." But the treatment continues to be improved. "I think it's the most promising treatment now being explored for solving the problem of the treatment of metastatic, common cancers," he says. The breast cancer patient helped by the treatment says it transformed her life. "It's amazing," says Judy Perkins, 52, a retired engineer who lives in Port St. Lucie, Fla. 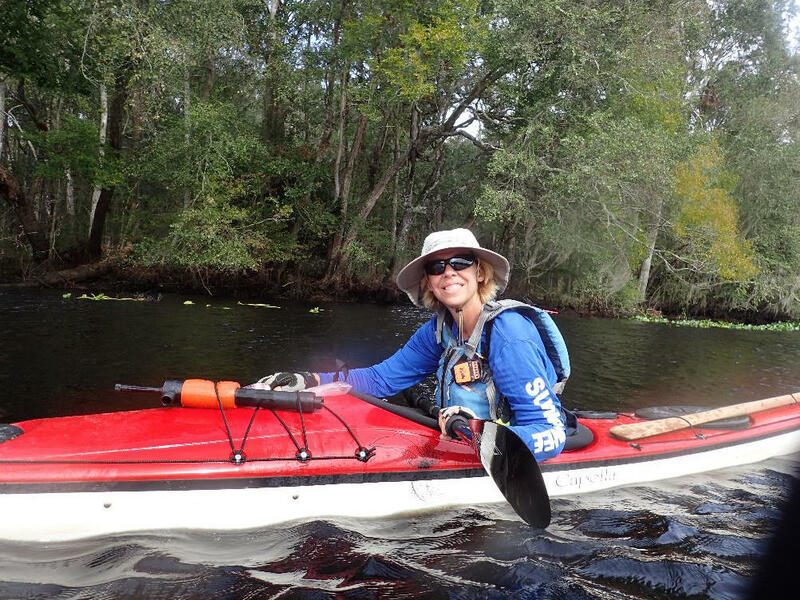 When Perkins was first diagnosed and treated for breast cancer in 2003, she thought she'd beaten the disease. "I thought I was done with it," she says. But about a decade later, she felt a new lump. Doctors discovered the cancer had already spread throughout her chest. Her prognosis was grim. "I became a metastatic cancer patient," says Perkins. "That was hard." Perkins went through round after round of chemotherapy. She tried every experimental treatment she could find. But the cancer kept spreading. Some of her tumors grew to the size of tennis balls. "I had sort of essentially run out of arrows in my quiver," she says. "While I would say I had some hope, I was also kind of like ready to quit, too." Then she heard about the experimental treatment at the NIH. It was designed to fight some of the most common cancers, including breast cancer. "The excitement here is that we're attacking the very mutations that are unique to that cancer — in that patient's cancer and not in anybody else's cancer. So it's about as personalized a treatment as you can imagine," Rosenberg says. His team identified and then grew billions of T cells for Perkins in the lab and then infused them back into her body. They also gave her two drugs to help the cells do their job. The treatment was grueling. Perkins says the hardest part was the side effects of a drug known as interleukin, which she received to help boost the effectiveness of the immune system cells. Interleukin causes severe flu-like symptoms, such as a high fever, intense malaise and uncontrollable shivering. But the treatment apparently worked, Rosenberg reports. Perkins' tumors soon disappeared. And, more than two years later, she remains cancer-free. "All of her detectable disease has disappeared. It's remarkable," Rosenberg says. "I'm one of the lucky ones," Perkins says. "We got the right T cells in the right place at the right time. And they went in and ate up all my cancer. And I'm cured. It's freaking unreal." In an article accompanying the new paper, Laszlo Radvanyi, president and scientific director of the Ontario Institute for Cancer Research, calls the results "remarkable." The approach and other recent advances suggest scientists may be "at the cusp of a major revolution in finally realizing the elusive goal of being able to target the plethora of mutations in cancer through immunotherapy," Radvanyi writes. "When I saw this paper I thought: "Whoa! I mean, it's very impressive," says James Heath, president of the Institute for Systems Biology in Seattle. "One of the most exciting breakthroughs in biomedicine over the past decade has been activating the immune system against various cancers. But they have not been successful in breast cancer. Metastatic breast cancer is basically a death sentence," Heath says. "And this shows that you can reverse it. It's a big deal." One key challenge will be to make the treatment easier, faster, and affordable, Rosenberg says. "We're working literally around the clock to try to improve the treatment." Doctors at the National Institutes of Health have apparently eradicated cancer from the body of a patient who had untreatable advanced breast cancer. The case is raising hopes about a new way to harness the immune system to fight some of the most common cancers. NPR health correspondent Rob Stein has the details. ROB STEIN, BYLINE: When Judy Perkins was first diagnosed and treated for breast cancer back in 2003, she thought she'd beaten the disease. JUDY PERKINS: I thought I was done with it and 10 years later, it came back. STEIN: Way worse than before. By the time she felt the new lump, the cancer had already spread all over the place. PERKINS: Then I became a metastatic cancer patient. That was hard. STEIN: Perkins went through round after round of chemo and every other experimental treatment she could find. The cancer kept spreading. Some of her tumors grew to the size of tennis balls. PERKINS: I had sort of essentially run out of arrows in my quiver. While I would say I had some hope, I was also kind of, like, just ready to quit, too. STEIN: Then she heard about another experimental treatment at the National Cancer Institute. STEVEN ROSENBERG: We're looking for a treatment, immunotherapy, that can be broadly used in patients with common cancers. STEIN: That's Dr. Steven Rosenberg. He says the new treatments that use our immune systems haven't worked very well against the most common cancers, like breast cancer, so he's trying to change that using a part of the immune system called T cells. ROSENBERG: These are the immune warriors. STEIN: Rosenberg sifts through the T cells in patients' tumors and painstakingly analyzes the DNA in their cancer to find out which of these T cells are primed to attack their tumors. ROSENBERG: The excitement here is that we're attacking the very mutations that are unique to that cancer in that patient's cancer and not in anybody else's cancer. So it's about as personalized a treatment as you can imagine. STEIN: Rosenberg grew billions of those T cells in the lab for Perkins and infused them back into her body. It was grueling but it worked. ROSENBERG: She is completely disease free. All of her detectable disease has disappeared. It's remarkable. STEIN: More than two years later, Perkins is thrilled. PERKINS: I'm one of the lucky ones that, you know, he hit the nail on the head. We got the right T cells in the right place at the right time, and they went in and ate up all my cancer and I'm cured. (Laughter) It's freaking unreal. It's amazing. STEIN: Other researchers say the results are exciting. JAMES HEATH: When I saw this paper, I thought, whoa. I mean, it's very impressive. It's very impressive. STEIN: That's James Heath, president of the Institute for Systems Biology in Seattle. HEATH: One of the most exciting breakthroughs in biomedicine over the past decade has been activating the immune system against various cancers, but they have not been successful in breast cancer. Metastatic breast cancer is basically a death sentence. And this shows that you can reverse it. It's a big deal. STEIN: Rosenberg cautions that the approach doesn't work for everyone. It failed for two other breast cancer patients. But it does seem to work for about 15 percent of patients with some of the most common forms of cancer, such as colon cancer, liver cancer and cervical cancer. ROSENBERG: Is it ready for prime time today? No. Can we do it in most patients today? No. But as we improve it, I think it is the most promising treatment currently now being explored for solving the problem of metastatic common cancers. We're working literally around the clock to try to improve the treatment. STEIN: And eventually turn what is now a very difficult and expensive treatment into something that's practical and affordable for many cancer patients. Rob Stein, NPR News. Transcript provided by NPR, Copyright NPR.